Stream "Nothing but the Whole Wide World"
Have you listened to that old Wallflowers record Bringing Down the Horse recently? Probably not. But besides being a huge fixture of 90s FM radio, it was also, quite excellent. It was. Give it another shot. 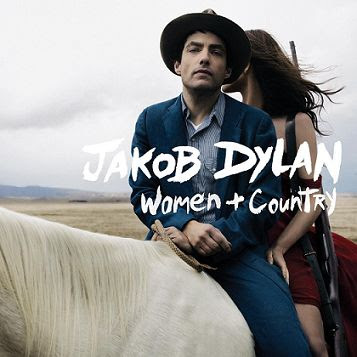 After some time away from the spotlight, Jakob Dylan returns with a new record Women and Country due April 6th on Columbia. As with the aforementioned Wallflowers' record, the guru of American music T-Bone Burnett is once again behind the board producing this record. Today, Spinner debuted the new track "Nothing but the Whole Wide World" which features Neko Case on backing vocals. While Neko adds little more than her name to this track, Dylan's voice sounds weathered and mature, with a tinge of melancholy. The production is very Plant/Krauss, but it's clear that Dylan has worked on his songwriting, and the project will lock into a solid folk/country feel. Jakob also looks a helluva lot like his dad on that cover. Creepy. See, we're not indie nerds, we're AAA nerds too, and we're definitely looking forward to this record.